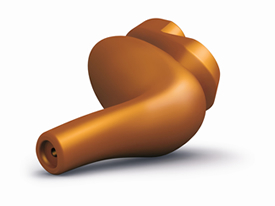 We provide the world's leading personally fitted and measured hearing protection tailored to the needs of each individual at an affordable price. FINALLY, HEARING PROTECTION THAT PEOPLE LIKE TO WEAR! protection is uncomfortable for most people. technique. It is an entirely comfortable and simple process. The person being fitted provides instant feedback on comfort. No ear impressions are required. 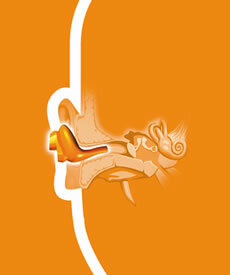 The SonoCustom is a cost effective, comfortable and reusable earpiece. It is made from medical grade, hypo-allergenic silicone that is custom-fitted in minutes for maximum comfort. Once fitted, the certified implementer can adjust the protection rating of the device to the optimum level required. All Rights Reserved First Step Web Services & Websyte Corp.